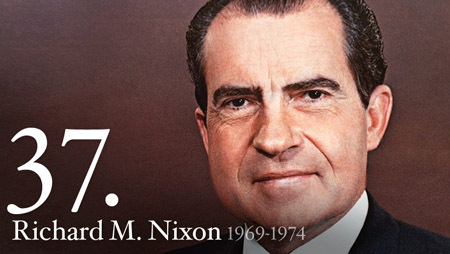 Click on the banner above to go to the LBJ homepage at the University of Virginia's Miller Center. 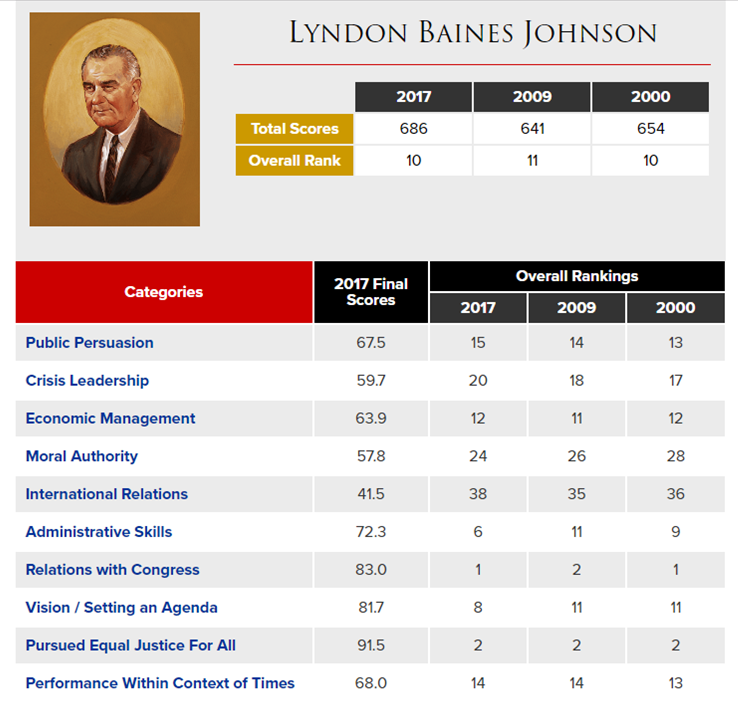 Click on the buttons below for in-depth information about LBJ's Presidency. LBJ's first job was that of a teacher in Texas. His first teaching job paid $1,530 for the year. LBJ was the only President to take the Oath of Office on an airplane and from a woman (Judge Sarah T. Hughes). LBJ took the oath aboard Air Force One following the assassination of JFK on November 22, 1963. LBJ is one of three Presidents not to use a Bible when taking the oath. J.Q. Adams broke tradition in 1825 by taking the Oath of Office on a book of constitutional law instead of the Bible. He did so to show that he was pledging himself to the U.S. Constitution. In 1901, President Teddy Roosevelt simply chose not to use one. LBJ was sworn in on a Roman Catholic missal (book of prayers and instructions for Catholic Mass). 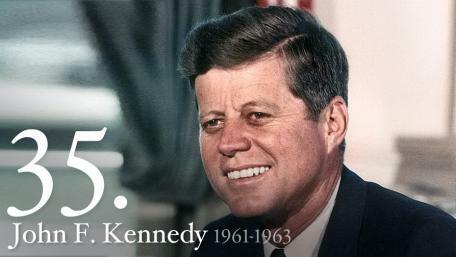 The missal was available because JFK was Catholic. LBJ so loved the soda Fresca that he had a fountain installed in the Oval Office that would dispense it. LBJ's favorite foods were canned green peas and tapioca. LBJ died one mile from the same house in which he was born. LBJ and his wife, Claudia, were married with a $2.50 wedding ring bought at Sears. 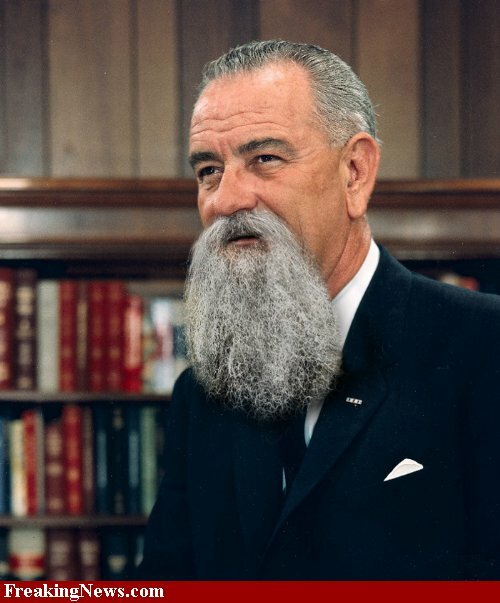 LBJ rejected his official White House portrait painting, saying it was the ugliest thing he ever saw. LBJ met Pope Paul VI in New York on October 4, 1965. This meeting took place in the historical context of the first visit by a Pope to the U.S. The major initiative during LBJ's Presidency was the Vietnam War. By 1968, the U.S. had 548,000 troops in Vietnam and had already lost 30,000 Americans. 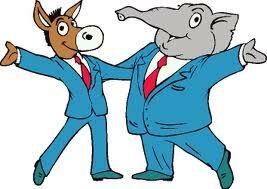 LBJ's approval ratings had dropped from 70% in mid-1965 to below 40% by 1967, and with it, his mastery of Congress. "I can't get out, I can't finish it with what I have got. So what the hell do I do?" he lamented to his wife, Claudia. 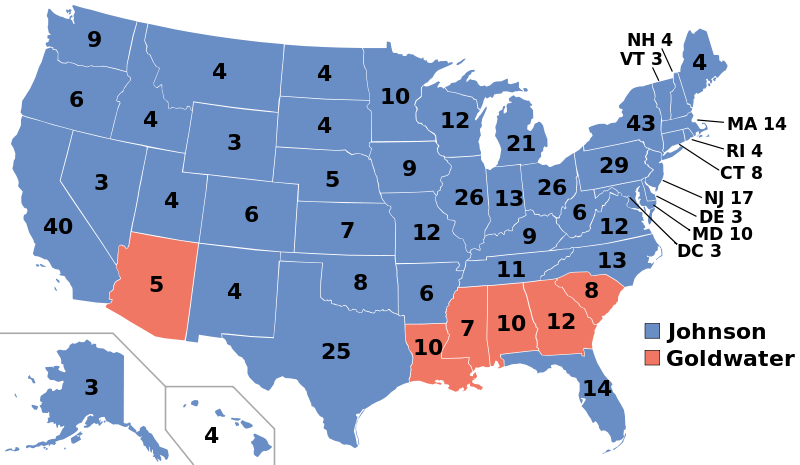 LBJ never did figure out the answer to that question, withdrawing his candidacy for the Election of 1968. LBJ's called on the nation to wage a "War on Poverty" due to the ongoing concern that America had not done enough to provide socioeconomic opportunities for the underclass. This was part of LBJ's ambitious domestic agenda known as "The Great Society". The legacy of LBJ's "War on Poverty" policy initiative remains in the continued existence of Federal programs like Head Start, Volunteers in Service to America, TRIO, and Job Corps. According to biographer Robert Dallek, at one point during his Presidency, LBJ met with a reporter who repeatedly asked him why American troops were in Vietnam. 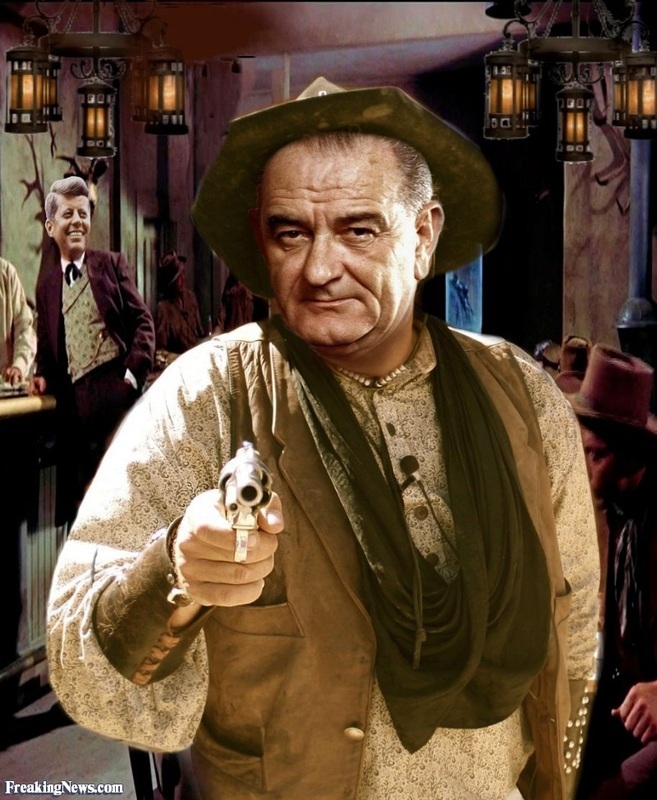 Frustrated, LBJ unzipped his pants, pulled out his "johnson", and shouted, "This is why!" 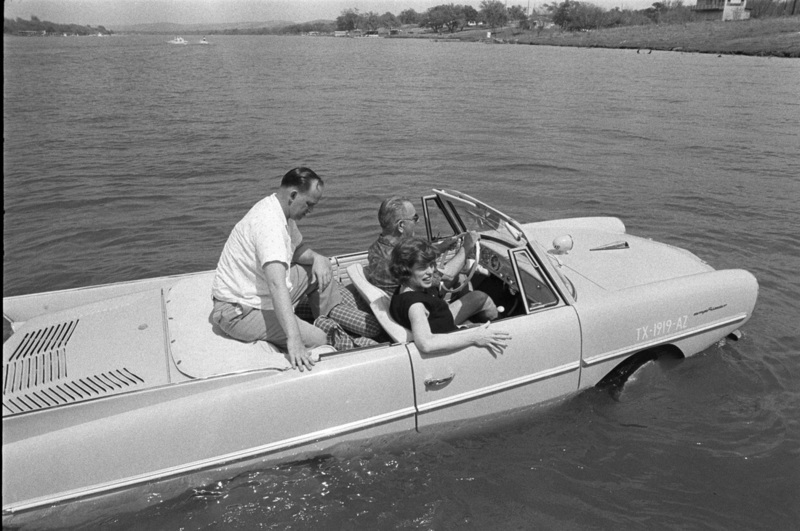 LBJ owned an amphibious car, called an Amphicar [see picture below]. He liked to use it to scare guests by driving them into lakes while screaming about brake failure.